Earlier this year, I gave a small tour of ‘Belle’s nursery that is slowly transitioning to a big girl room. SLOWLY. 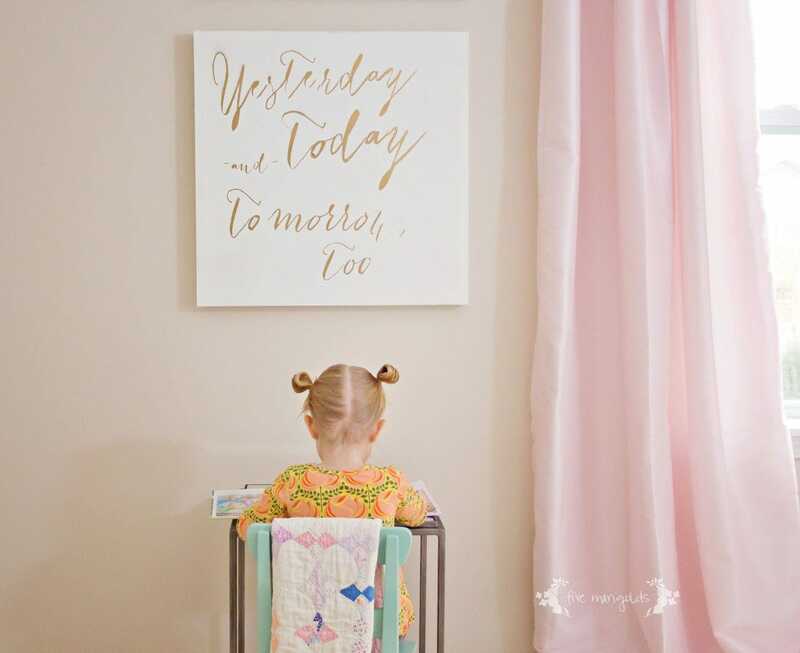 Recently, I tried my hand at creating a DIY Canvas for Baby Nursery. After making Eve’s wall art project I was inspired to make another one for ‘Belle’s room to fill a blank wall. I wanted to follow the same color scheme of off-white and gold lettering, but I wanted it to be unique from Eve’s canvas art. My inspiration came when I thrifted 2 identical-sized canvases at Goodwill (the two gems on the right). I love finding old ugly canvases nobody else wants and snapping them up for a few bucks! 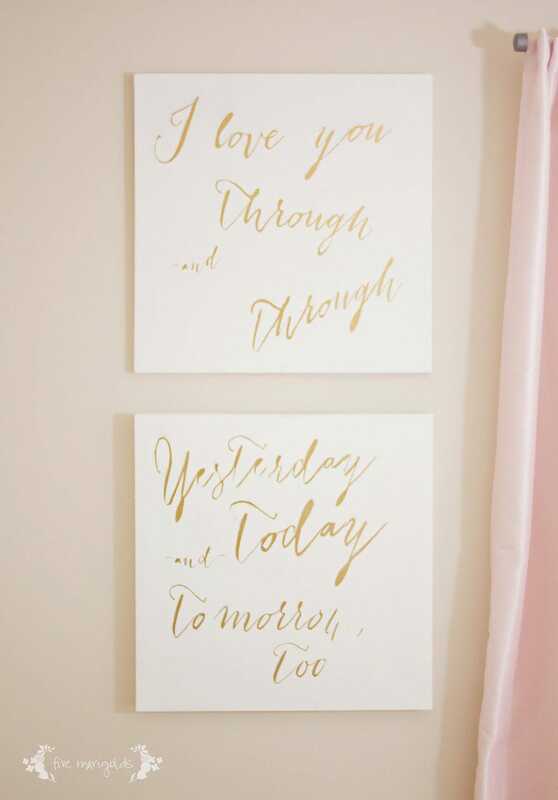 I loved the idea of creating one phrase that spanned two canvases, and I was reminded of the sweet book, “I Love You Through and Through” by Bernadette Rossetti-Shustak. All of my kids have loved that book, and I fell in love with the idea of putting this sweet line in ‘Belle’s room. 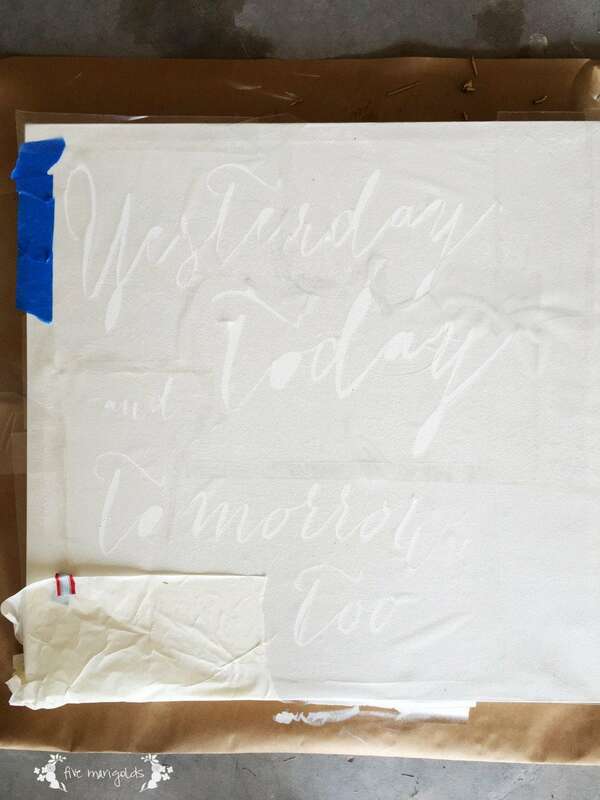 I got to work covering the canvases using some leftover off-white paint we had on hand. I then laid it out in PhotoShop, using the same method I detailed for Eve’s custom canvas – with my Silhouette and clear contact paper (to keep the project super inexpensive). It was a little more complicated to get it to lay just right, since I chose a cursive font. Disclaimer time: if you have a SIlhouette and like the colors of vinyl (my go-to color for other projects, here) – DO IT. 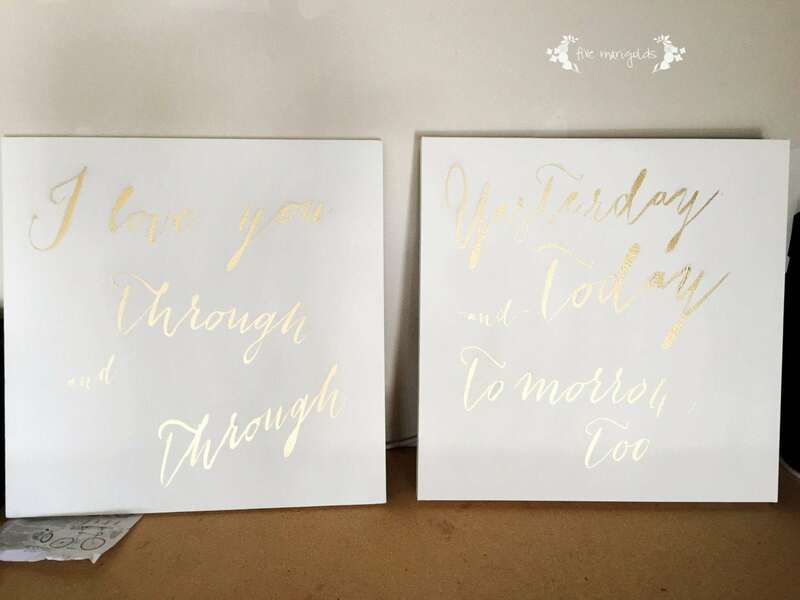 It would be so much easier (but more expensive) to cut your pattern, lay the vinyl letters using transfer paper, and calling it a day – especially if you use cursive font. 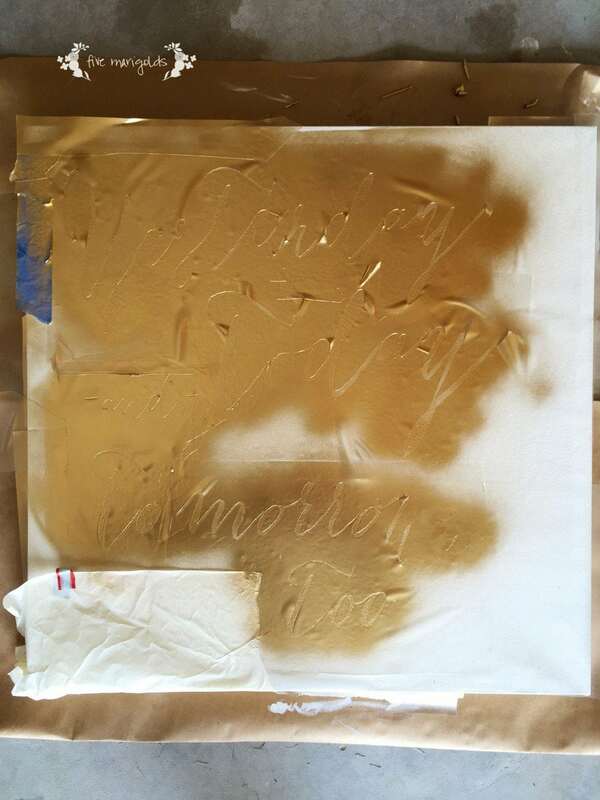 However, as I said, I had something specific in mind so I plugged on, spraying the contact paper-covered canvases with my favorite Rust-oleum gold spray paint. Be sure to pull the contact paper up right away when you’re done painting. Just a tip: don’t get obsessive about fixing any imperfections you may see after lifting off the contact paper. Let’s just agree that this is one of those perfectly imperfect projects that will actually start to look worse the more you pick at it. Mmmkay? I speak from experience. Here it is, sitting to dry in the garage – this photo best shows how the metallic letters reflect nicely in the light. I didn’t frame it like I did for Eve’s canvas art, partly to keep it looking distinct, and partly because I felt a frame would break up the phrase that belongs together. Bonus: it was also a lot less work! Here it is hanging up in ‘Belle’s room. I’m smitten! What do you think? 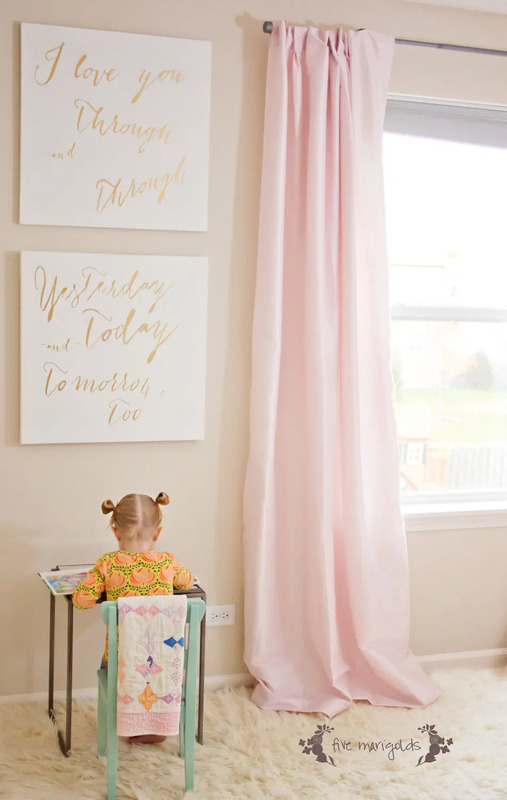 PS if you’re a fan of this book and “I Love You Through and Through” DIY canvas for baby nursery, please be sure to grab my free printable art here. See more of ‘Belle’s nursery, here. So clever! I absolutely love it! Thank you so much! I’ll be sure to stop by The Creative Corner. What a beautiful and thrifty project! Featured at Be Inspired this morning. Thanks so much for sharing! How exciting – thank you for the great feature! That’s wonderful! Thank you so much for selecting my project as a feature! This is so adorable! I love it even for a feminine office! Yes! So many ideas for customizing this project for other areas of the home or office. Wow. Impressive project. Beautiful and thrifty! Thank you so much Laura! Making it on the cheap is definitely gratifying! 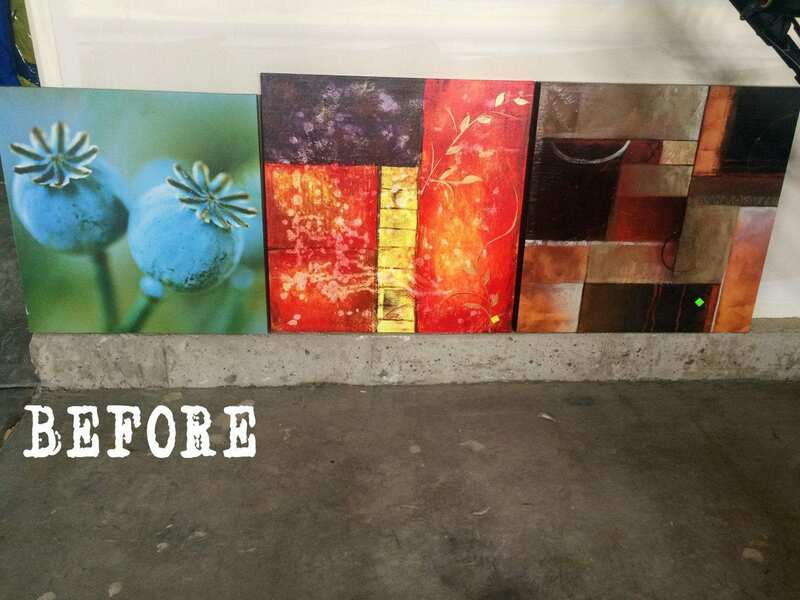 I like how you used old canvases for this project! It is super cute in her room! I love quote you used! That is beautiful! You are very talented. And that carpet is lush! 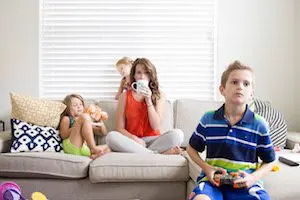 We couldn’t have that anywhere in our house. This is so pretty! 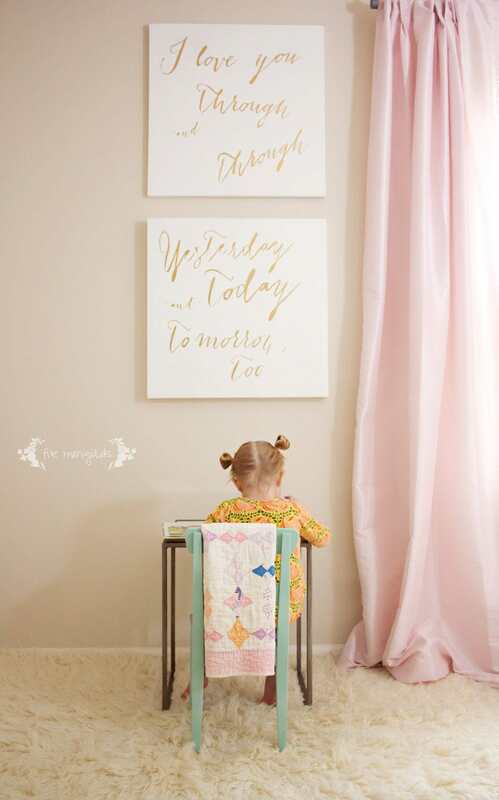 I would love to make one like this for my baby girl, who just turned one! This would be an adorable way to upcycle the baby clothes for her!